A coalition of Pacific Island nations has delivered an emphatic call to the African, Caribbean and Pacific group of states to back West Papuan self-determination. Vanuatu, Solomon Islands, Tonga, Tuvalu, Nauru, Palau and the Marshall Islands delivered a joint statement at the ACP’s Council of Ministers in Brussels. 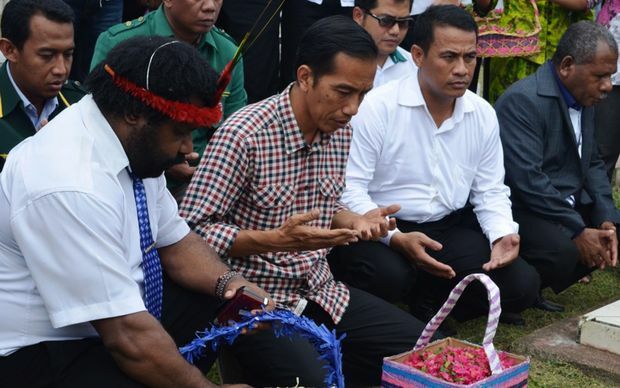 It condemned Indonesian human rights violations in Papua, including alleged crimes against humanity and called for an eventual resolution that includes support of the right of West Papuan political self-determination. Mr Koanapo said that the day’s discussion “now sets up the great likelihood of a resolution on the full range of West Papua issues at the next ACP ministerial council meeting”, scheduled for November. It’s the latest in a string of high-level representations by the International Coalition for Papua since last year that have taken the issue of West Papua to a new level of diplomatic activity. 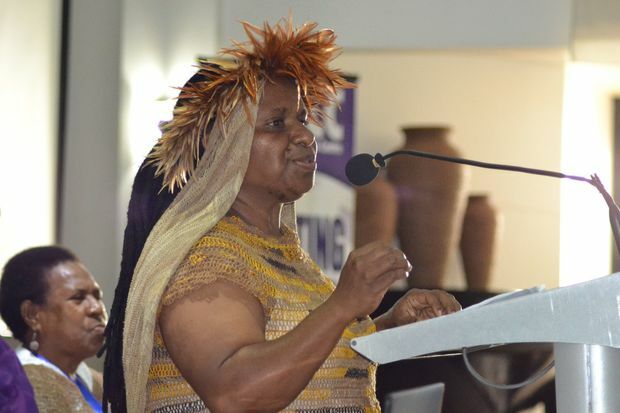 The seven Pacific nations, who are in coalition with Pacific regional church bodies and civil society networks, raised concern about West Papuan human rights at the UN Human Rights Council in Geneva two months ago, and also at the UN General Assembly last September. Indonesia’s government has rejected criticism at the UN level, accusing the Pacific countries of interference and supporting Papuan separatism. 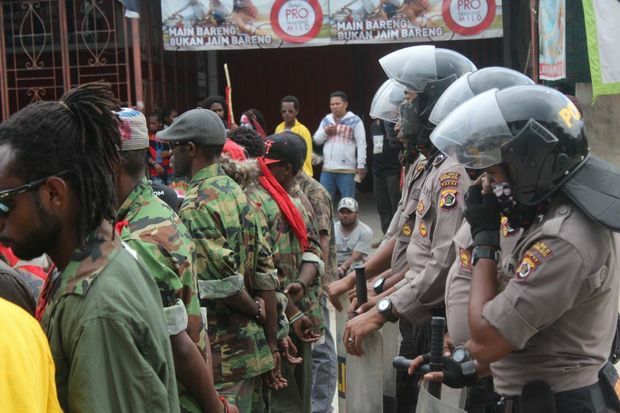 Jakarta says human rights abuses in Papua are largely historical, and that the incorporation of the western half of new Guinea into Indonesia is final. However, support from other governments for resolution of ongoing human rights infringements in Papua is gaining momentum. Criticism of the flawed plebiscite by which the former Dutch New Guinea was incorporated into the young state of Indonesia in the 1960s has effected renewed calls for a genuine self-determination process. At yesterday’s Brussels meeting Papua New Guinea’s ambassador, whose country shares a 760km-long border with Indonesia at West Papua, was the only delegate to speak against ACP moving forward on a resolution on the matter. Joshua Kalinoe said that “no one is denying that the human rights violations are going on” but suggested that a fact-finding mission to West Papua might be necessary for the ACP to get an accurate picture of the situation. Guinea-Bissau’s Ambassador Alfredo Lopez Cabral spoke next, comparing the plight of West Papua to East Timor, which Indonesia occupied for 24 years before a mounting legacy of conflict gave way to an independence referendum in 1999. Vanuatu has addressed a high level United Nations meeting over Pacific regional concerns about human rights abuses in Indonesia’s Papua region, or West Papua. 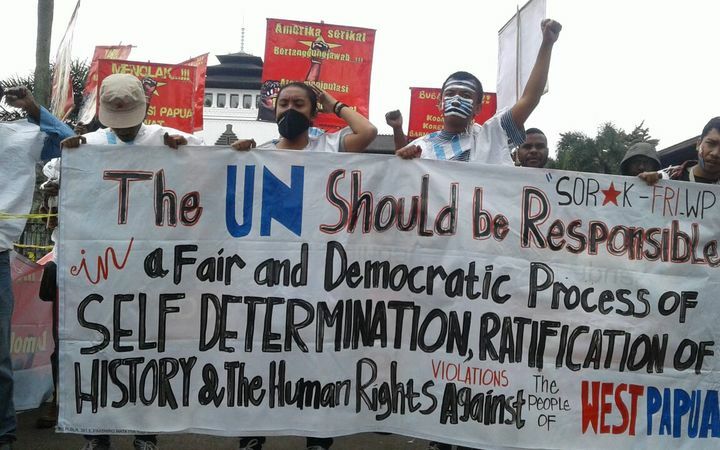 The 34th regular session of the UN Human Rights Council in Geneva, Switzerland, was told that Indonesia has not curtailed or halted various widespread violations. Mr Warsal said the Commission described the sets of cases in the first two places as crimes against humanity, which are punishable under Indonesian and international laws. He referenced reports of extrajudicial executions of activists and the arrests, beatings and fatal shootings of peaceful demonstrators, including high school students; as well as persistent violence against Papuan women. The Vanuatu minister said Indonesia’s government had not been able to deliver justice for the victims. “Nor has there been any noticeable action to address these violations by the Indonesian government, which has, of course, immediate responsibility and primary accountability,” he said. He also mentioned the marginalisation of West Papuans in the face of steady migration to the region by people from other parts of Indonesia. Indonesia’s delegation to the UN mission in Geneva has issued a reply, saying it categorically rejects the allegations voiced by Vanuatu’s Justice Minister. 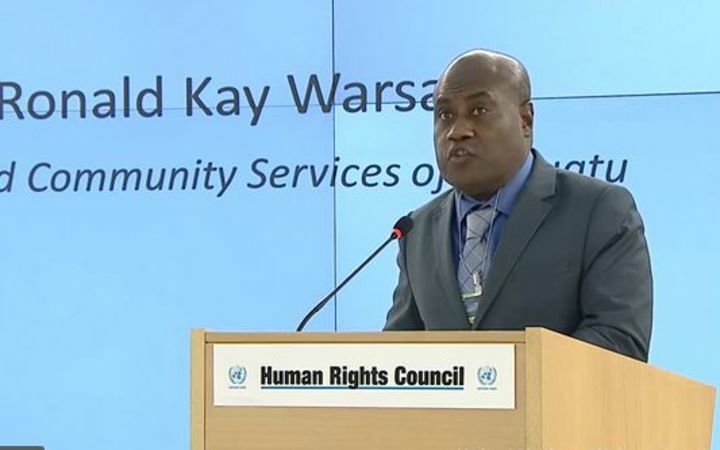 It said Mr Warsal’s address does not reflect the real situation on the ground, accusing Vanuatu of “using human rights issues to justify its dubious support for the separatist movement in Papua“. In a statement, Indonesia said its record on the promotion and protection of human rights spoke for itself. Earlier, Mr Warsal referred to a series of recent pronouncements by mandate holders of the UN Council about serious Indonesian violations of the human rights of indigenous Papuans. These included representations by UN Special Rapporteurs on the promotion and protection of the right to freedom of opinion and expression; the rights to freedom of peaceful assembly and of association; the rights of indigenous peoples; the Rapporteur on extrajudicial, summary or arbitrary executions; and the Rapporteur on torture and other cruel, inhuman or degrading treatment or punishment. Indonesia’s government, however, said it had always endeavoured to address any allegation of human rights violation as well as taking preventative measure and delivering justice. The Indonesian government again sent a message to Vanuatu that it should stay out of what it regards as its own domestic matters. Jakarta said that Vanuatu’s government should not divert its focus from addressing its various domestic human rights problem by politicising the issue of Papua for its domestic political purposes. “In this regard, the Indonesian Government is prepared to work and co-operate with the Government of Vanuatu in their efforts to address various human rights violation and abuses against the people of Vanuatu” said the statement. These abuses, according to Indonesia, included “violence against women, corporal punishment against minors, appalling prison condition, including torture of prisoners, and other challenges”. However, the seven Pacific nations have called on the UN Human Rights Council to request the High Commissioner for Human Rights to produce a consolidated report on “the actual situation in West Papua“. Among other provisions, Mr Warsal said the report should also detail the various rights under the International Bill of Human Rights and the related conventions, including the right to self-determination. “We believe that challenges of West Papua must be brought back to the agenda of the United Nations,” said the Vanuatu minister on behalf of the Pacific countries.